PwC investment enables expansion of start-up incubator. 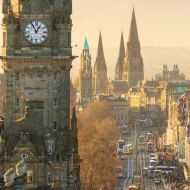 Firm to have physical presence and be on hand to offer advice in Edinburgh and new Stirling location. Codebase to use funds to open up more space, allowing more companies to locate. PwC announces collaboration with CodeBase to boost the start-up incubator's growth. The Big Four firm will offer business support to fledgling companies, with a specific focus around its My Financepartner offering which offers a low-cost subscription service providing business advisory services. The Edinburgh-based incubator has more than quadrupled in size since it launched in March 2014. With more than 90 start-ups employing around 600 people making the Edinburgh HQ their home, CodeBase plan to expand operations by opening a Stirling hub. PwC regional chair Lindsay Gardiner said: “This deal and the development of My Financepartner also reflect these exciting, changing times. “Startups and scale-ups don’t want or need a traditional financial advice service so we’ve adapted to that. My Financepartner lets the companies take care of the majority of their own accounting and business requirements but with the back-up and pro-active support of our experts if and when they need to talk to them. CodeBase’s mission is to build and scale the next great tech companies out of Scotland. Since its 2014 launch by co-founders, Jamie and Stephen Coleman and others, it has helped to incubate scale-up companies which have raised over half a billion dollars of investment.